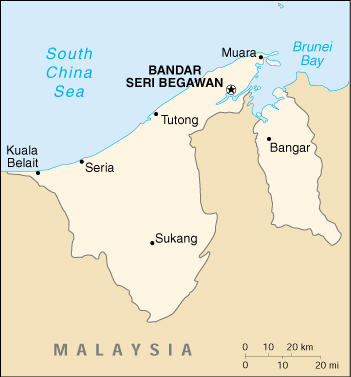 Radio and television: Brunei history of the state-run television service in Brunei Darussalam. State owned broadcaster, live telecasts. Asiaco Brunei: arts, humanities, business, economy, society, and culture. Asia Observer: Brunei: links to the arts, entertainment, business, and economy. Links about this country's economy. Brunei Darussalam: Basic directory of basic information about Brunei, including tourism, business, and education. Brunei News.net: english version of Brunei news headlines. Sultan of Brunei: Describes the Sultans role and duties as the head of Islam in Brunei. Religion for Brunei: About agnosticism/Atheism 1999 religious freedom report, statistics on religion for Brunei.